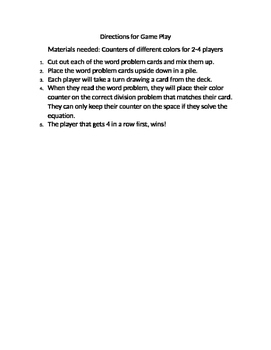 This is game that can be used for centers or in a small group after a mini lesson. 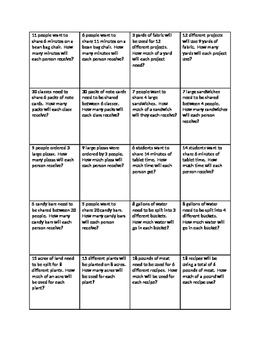 Students will practice reading word problems that all involve division. 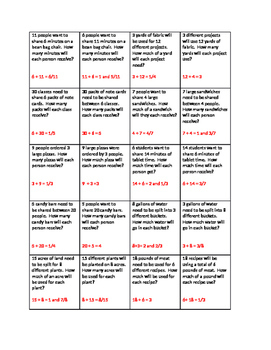 These questions will help students practice whether answers will be proper fractions, whole numbers, or mixed numbers, based on how the question is worded. Everything needed for the game is included except for colored chips for each student. 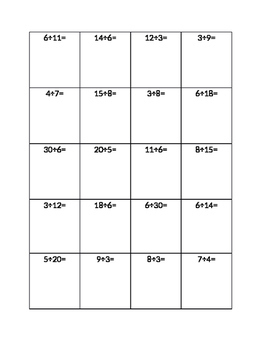 Directions and answer key are included in this packet.